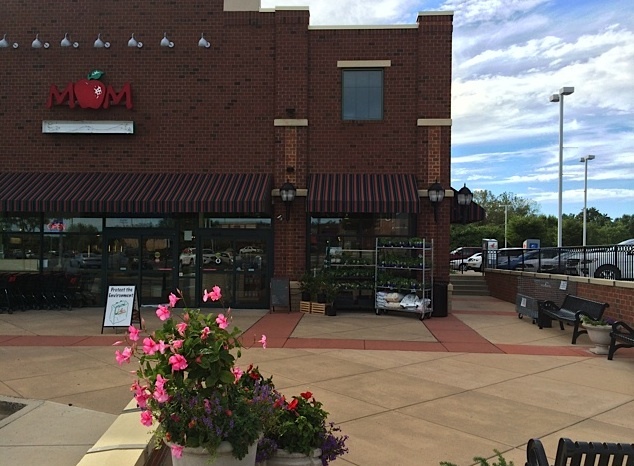 The event was in front of Mom's Organic Market. While there were no celebrities or politicians, we were able to talk to many ordinary people who previously had little exposure to EVs. Our list of registered models include Leafs, Volts, a Tesla Roadster, and a Honda Fit EV. We had a few surprise EVs show up including two Smart EVs. While the volume of folks going by wasn't very large, conversations tended to be more than just a minute or two. In several cases people talked to us for 15 minutes or more. Unfortunately, the people are not close enough to really see their faces. 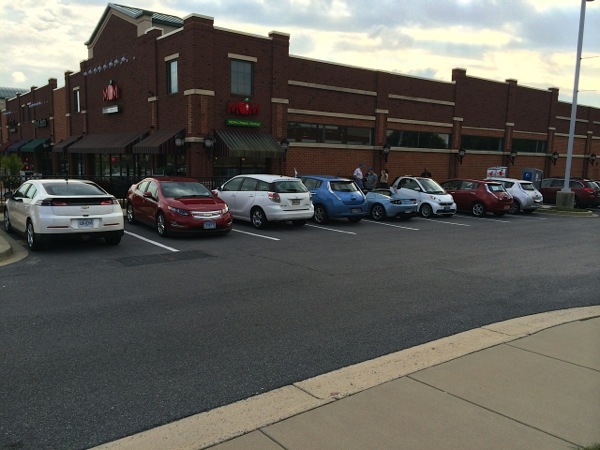 The picture has seven EVs in a row of eight cars (we had one or two EVs out of the picture). From left to right we have: Volt, Volt, ICE car, Leaf, Tesla Roadster, SMART EV, Leaf, Leaf. Next to the cars on the right are the two Level 3 chargers at Mom's. There are many incorrect myths about EVs. This is your chance to ask questions from real people who are driving electric every day. 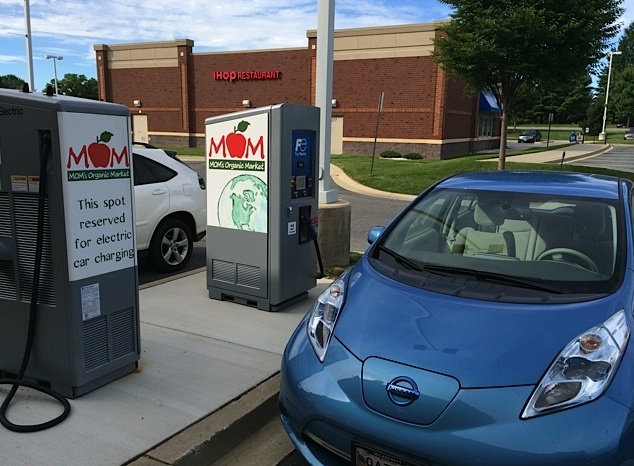 You can also see MOM's Level 3 CHAdeMO charger. Registered attendees report 170,028 electric miles driven.